Tara Wilson takes center stage at Women in Business Fall Summit. Determination. Grit. Overcoming failure. Motivation. Those were some of the key points at Friday morning’s Harbert College Women in Business Fall Summit, where a handful of female business leaders from entrepreneurs to finance – and even the U.S. military – encouraged female students to never lose sight of their dreams, and to “Stay and fight – keep your foot on the gas pedal,” as Esada Qazi, VP of Corporate Finance at JP Morgan Chase, put it. Qazi joined Liz Mercer, founder and CEO of Sleekform, and U.S. Air Force Maj. Emily Tucker, in a lively panel discussion moderated by Tara Wilson, founder and CEO of the Tara Wilson Agency. Harbert College Dean Annette L. Ranft shared her story -- from a small farm in North Carolina to becoming an administrator in higher education -- during a fireside chat-style conversation with Wilson. Tucker, a 2004 Auburn alum and pilot instructor in a male-dominated field, said that perceived qualifications should not deter a person from reaching their work goals, but also lives by the mantra of humility, credibility and approachability. “You’ll never find your path if you don’t go for it,” she said. The event was sponsored by Harbert College’s Women in Business program. Written by Joe McAdory and originally published in Harbert Magazine. 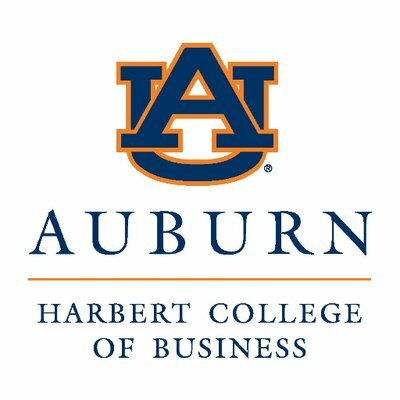 Auburn University Names Tara Wilson "Entrepreneur of the Year"